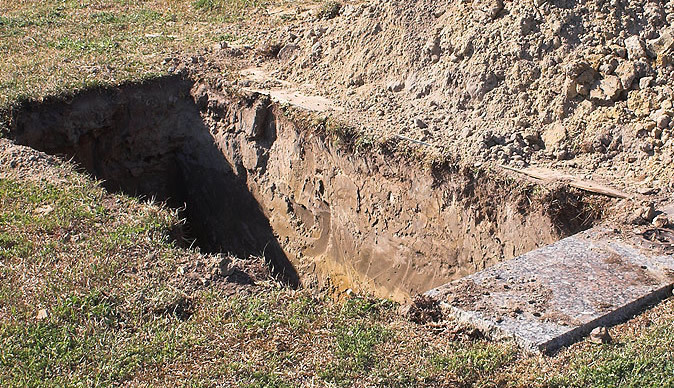 A Lower Gweru bereaved family got the shock of their lives when they recently woke up and found that the body of their departed loved one had been dug out of the grave the following morning. The incident which has left tongues wagging in Lower Gweru occurred on Sunday morning last week in Ngani Village, under Chief Mkoba when relatives to 64-year-old Amosi Muzizi woke up to find his body on the side of the grave. The relatives however later reburied their late relative before fencing the grave. In an interview, Muzizi's relatives said they were still trying to come to terms with what transpired. "Muzizi died last week Wednesday and we buried him on Saturday afternoon. We then visited the grave on Sunday morning as per tradition, only to discover the body had been dug and laid beside the grave. It was so shocking that we couldn't believe our eyes," said Auxilia Muzizi, wife to the now deceased. She said they were suspecting that it could have been an act of Satanism. "We suspect that satanists could be behind this because this is really shocking. We met as relatives and decided to rebury our relative but this was after we had informed the traditional leader about the mysterious incident," she said. The late Muzizi's sister said the family would consult traditional healers over the spine-chilling incident. She said as a family they were not going to sit back, but would work to expose the 'witches' who were behind the incident. "The death of my brother was some sort of a mystery and after burial, we found him outside his grave under unclear circumstances. We will have to consult prophets and traditional healers as we seek to expose these satanists," she said. She said police came to the scene, but did not tell them of any missing body parts from the carcass.